Welcome to the Gooloogong Hotel, home of good food and good times. The kitchen is open 7 days for lunch (12pm-2pm) and dinner (6.30pm-9pm), with delicious home-made desserts always on offer and the cafe serving coffee all day every day. 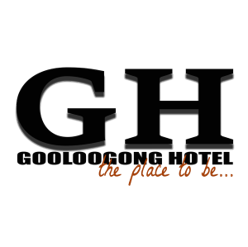 The Gooloogong Hotel is the perfect place for families to enjoy a meal, featuring an indoor playroom and fully secured outdoor playground to keep children safe and entertained. The hotel is wheelchair accessible via the side deck. Accommodation is on offer with 3 single, 3 twin single and 3 double rooms available year round. We cater for all kinds of Functions. so please "Like" us on Facebook and pop in to see us and say Hi.